Race Team News – Page 19 – Tekin – Smaller, Smarter, Faster! Tekin takes AMS “Tots” race win! 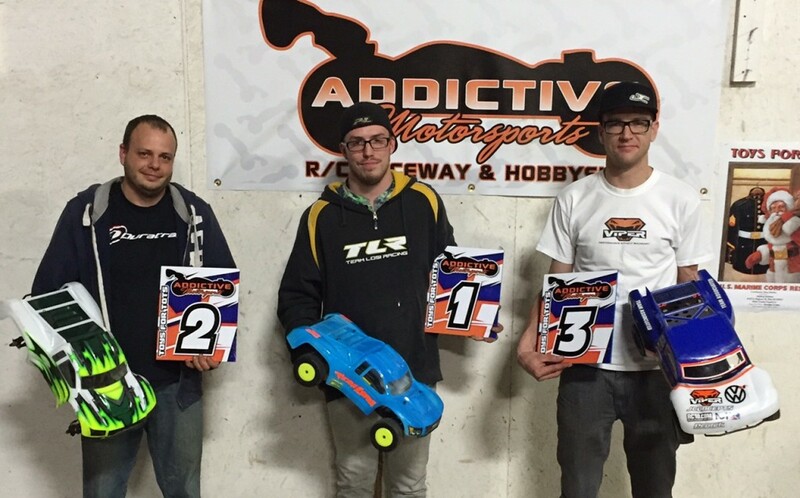 On Saturday December 6th, AMS raceway hosted their annual Toys for Tots race. 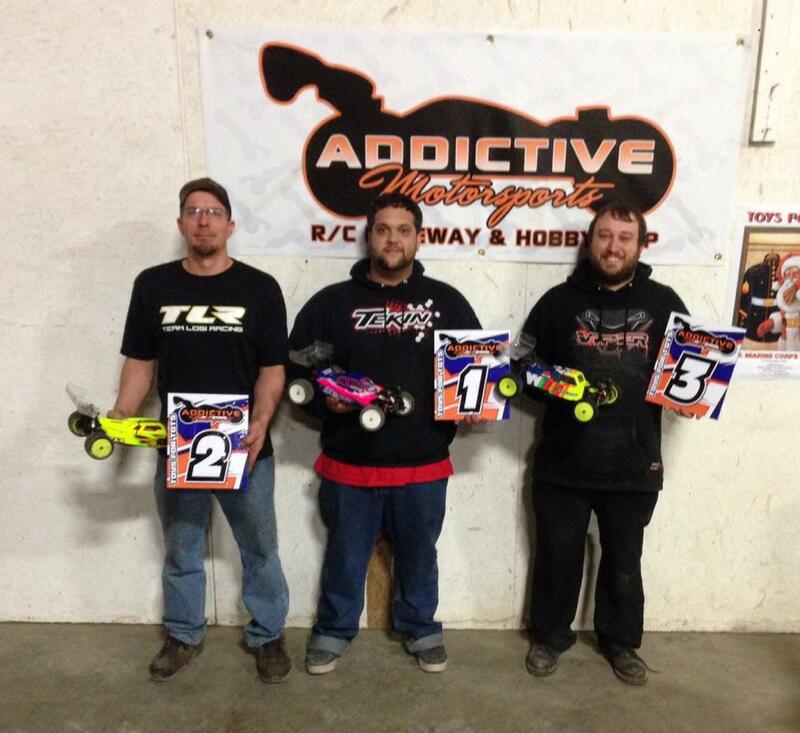 In 1:8 E Buggy it was back and fourth between Nick Vasquez and Kevin Morales fighting for TQ. In the 3rd round Morales ended up taking TQ with a 14/5:08 run. 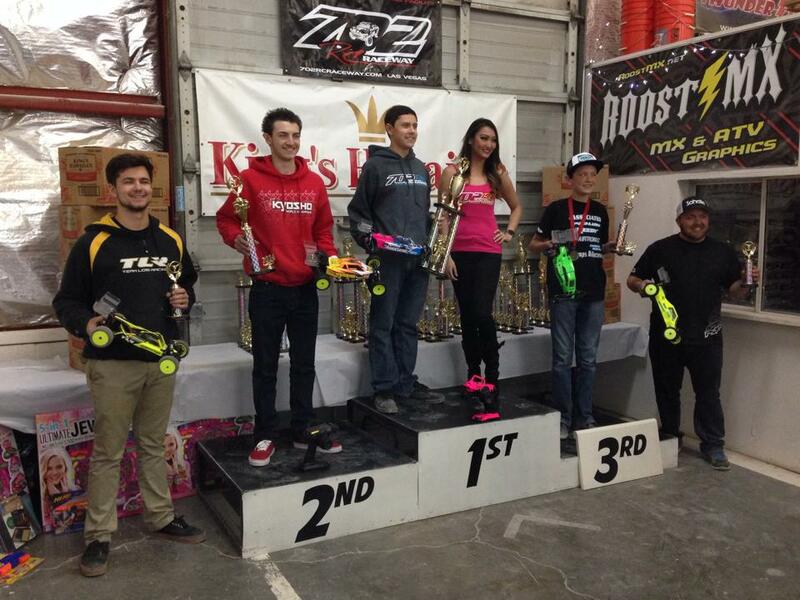 Morales ran uncontested during the main to take the win, followed by team Tekin drivers Brad Rippee and Nick Vasquez. All 3 drivers would run the Tekin Rx8 Gen2 and T8 Gen2 motor/esc systems. Nick Vasquez would also take the win in the 4wd Mod Buggy class running his Tekin RSX Redline Gen2 powered HotBodies D413 buggy. Kevin would also take 2nd in Mod ST Truck behind Dakota Phend. Tekin drivers race for a charity at 702 Raceway! 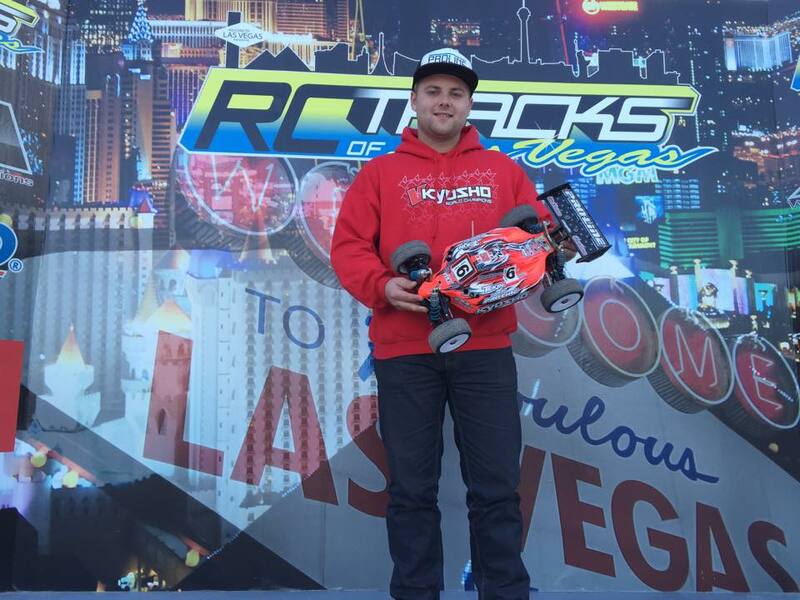 Recently signed James Raschko used the Tekin RSX esc and 7.5 Redline Gen2 motor last night at the Toys for Tots race in Mod Buggy and Mod SCT at 702 Raceway. James would take the win in the Pro2 SC Truck class. Travis Brock would join him taking 4th. 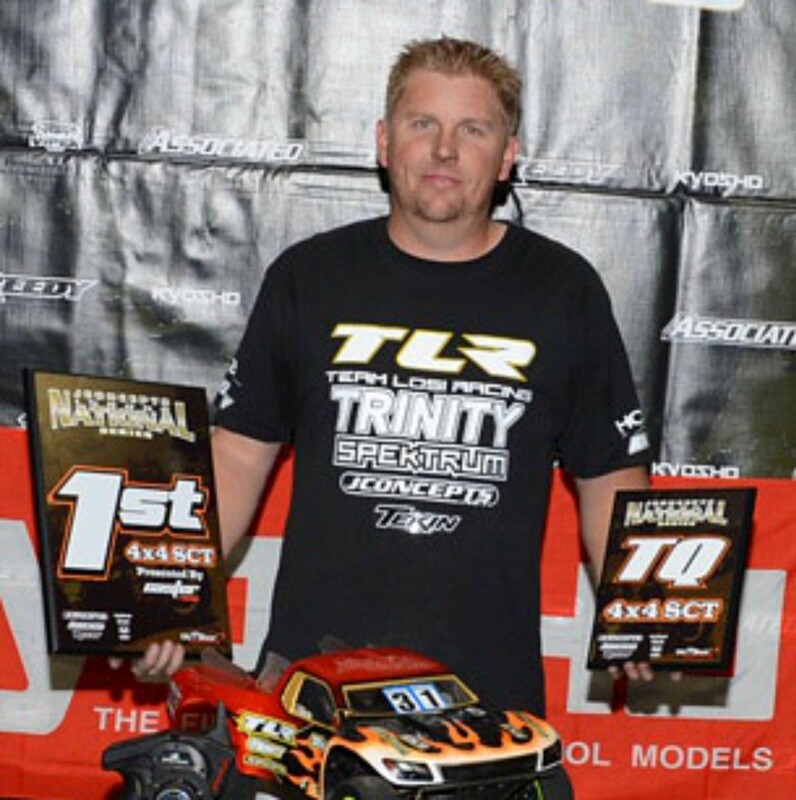 Travis Brock would bring the pain in the 2wd Stock buggy class taking the overall Tq with his Tekin powered TLR 22 2.0 Rm buggy. Travis would go onto win the main handily running a Tekin RSX and Redline Gen2 17.5 combo. 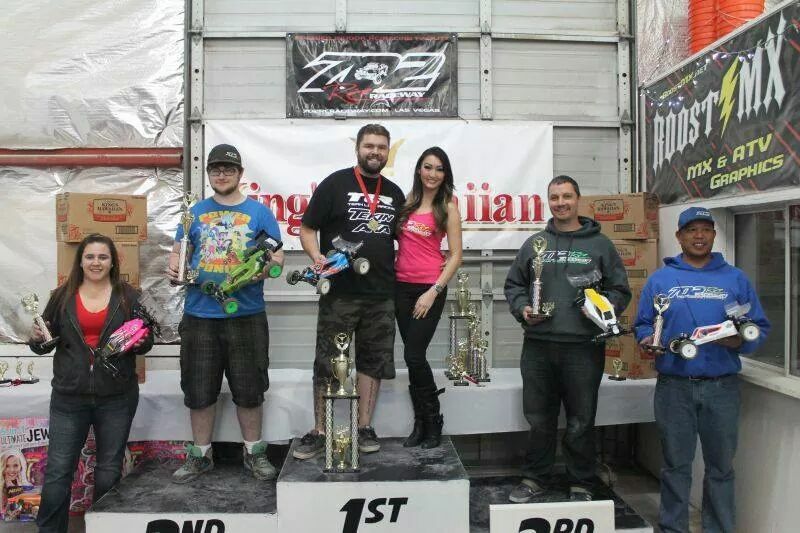 James Raschko would also take 2nd overall in the Mod 2wd buggy class running the same combo. Tekin teammate Jacob Haas would take 4th overall. 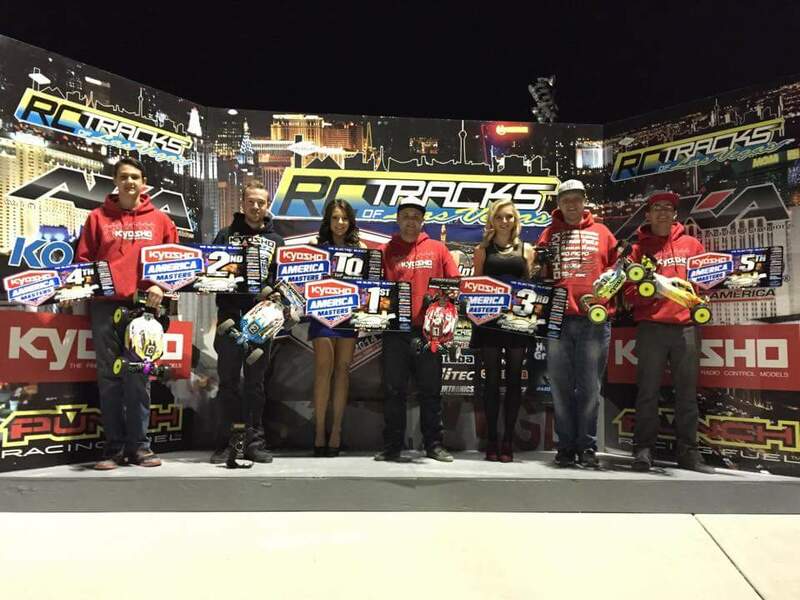 Elliott Boots Tq’s and wins the Kyosho Masters in Las Vegas! Held at the new RC Tracks in Las Vegas Nevada right near the strip. The Kyosho Masters is an all Kyosho event where the top Kyosho drivers all around the world converge for some solid competition and camaraderie. 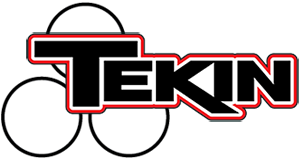 Tekin factory driver Elliott Boots would Tq all 3 rounds of qualifying in the 1/8 E Buggy class running the award winning Tekin Rx8 Gen2 esc and T8 Gen2 2050kv motor. Behind him Jared Tebo and Cody King battled for the second spot. Tebo would take 2nd followed by Cody king, Justin Fales 4th and Mikey Bustamente(Tekin) 5th. Ash Peeler wins the 2014 Victorian State ST Truck title! The track was the best many have raced on in Victoria this year, out door clay with great traction and the temps where going to be high all weekend 27 to 34c. Perfect for a State title race! 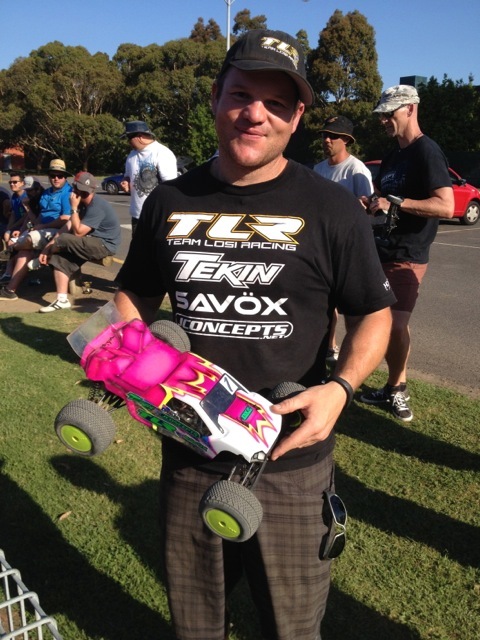 Tekin factory driver Ash Peeler would take the overall Tq position in the ST Truck class which features 10.5 motors only. Starting from his P1 position Ash would take the first two rounds handily by over 10 seconds each to take the overall title. Ash would use the Tekin RSX Redline Gen2 10.5 motor to win his State Title. Harrison sweeps the Toys for Tots in Flowood! “Qualifying went well in Pro4 SC as I was able to secure the top qualifying spot early. 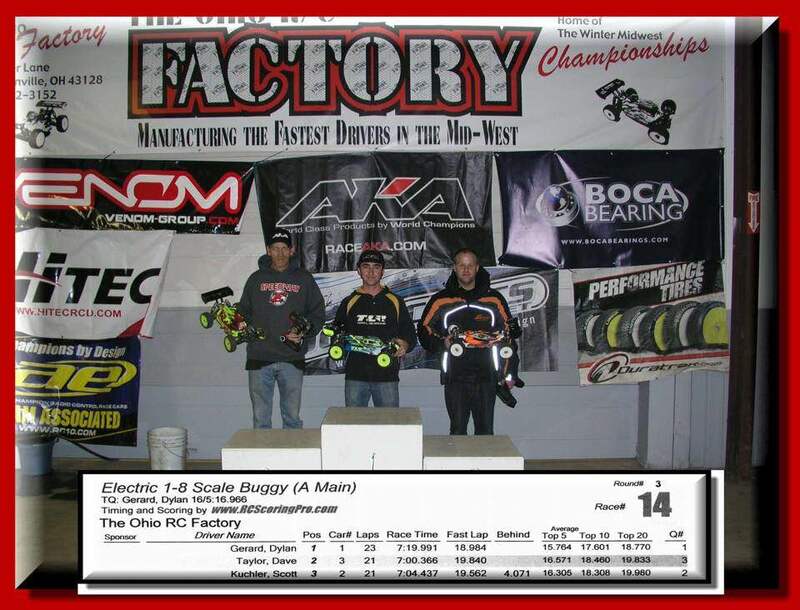 In E-Truggy I had some mechanical issues early and was able to work them out by the third round taking the overall TQ. In E-Buggy was more difficult because the competition was much stiffer in this class. I was sitting fourth after round one and had a steering failure in round 2. In round 3, I was able to lay a fast and consistent run in taking the overall Tq in the final round of qualifying. The traction started to really come in for the mains which made the qualifying positions very important. Martin ran the award winning Tekin Rx8 Gen2 Esc in all 3 cars, T8 Gen2’s in the 1/8 cars, and Pro4 HD 4300kv respectively in the Pro4 SC class. 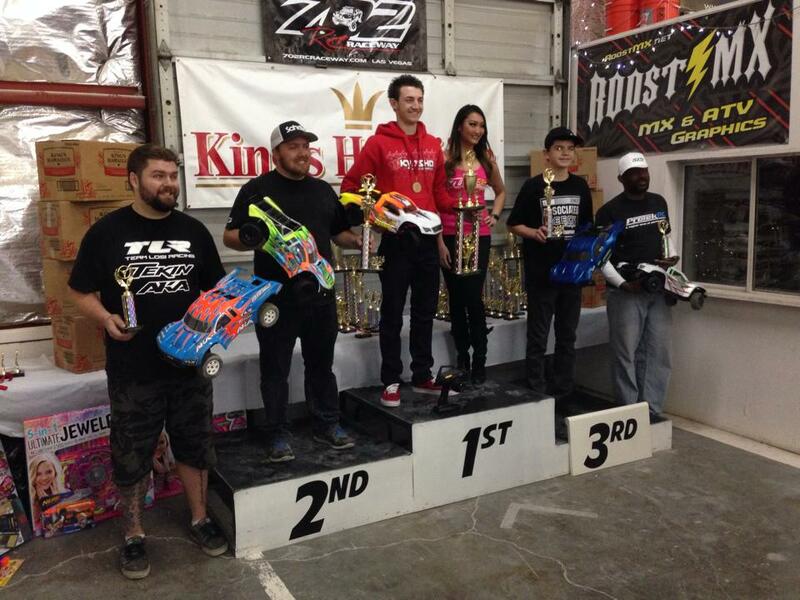 JR Mitch wins 4×4 SCT overall at the JConcepts Indoor Nationals series! 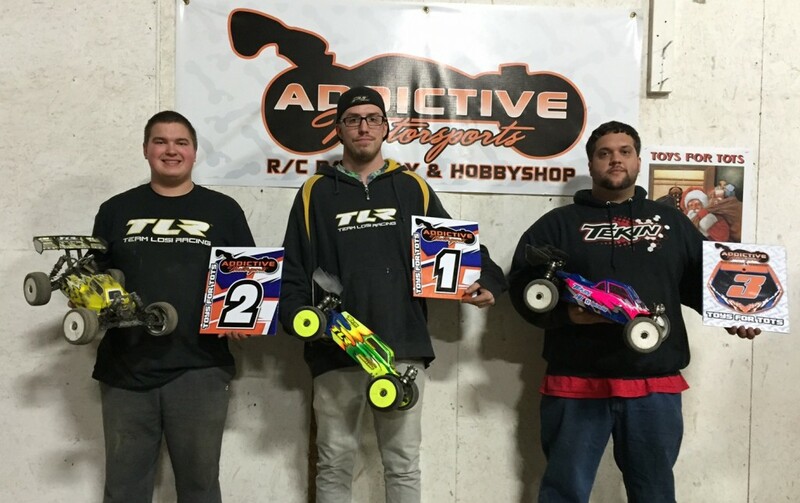 JR Mitch takes his TLR TEN SCTE 2.0, Jconcepts equipped, and Tekin/Trinity powered 4-wheel drive SCT to the overall victory in the JConcepts Indoor Nationals. Wins at race #1 in St. Louis Missouri, race #3 in Chico California, and a 2nd in Tacoma Washington was the overall wining combination in 2014. The Tekin controlled TLR TEN SCTE 2.0 worked and drove great at three tracks, outfitted with all the latest JConcepts equipment from wheels and tires, to the style for the hi flow SCT body. 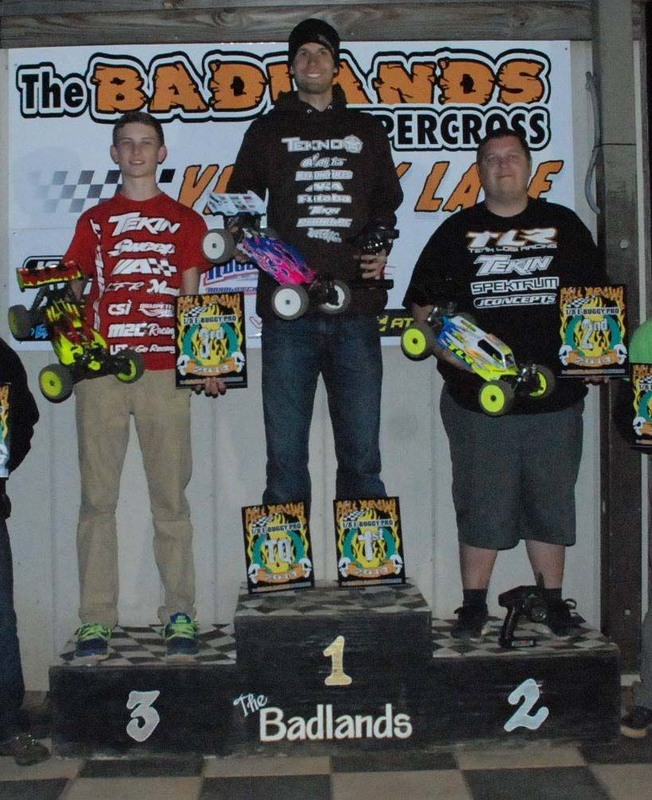 Tekin drivers were out in force at the Fall Brawl hosted at the Badlands RC facility. 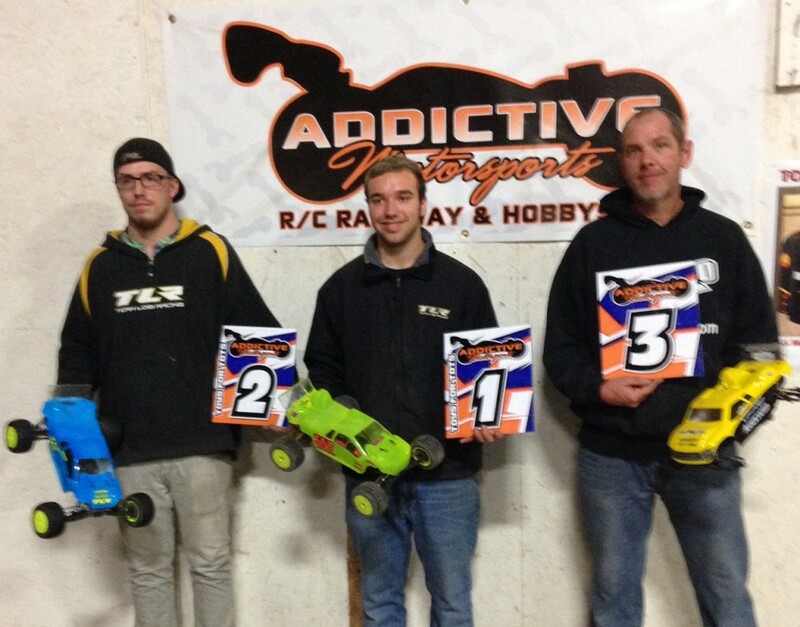 Ryan Lutz, Max Flurer, John McGinty III and Griffin Hanna were all dicing for Tq bragging rights in the 1/8 E buggy class. Lutz would take top honors taking the overall Tq going into the mains. After the dust settled Ryan Lutz woudl take the overall win joined by Tekin teammates Max Flurer in 2nd and Griffin Hanna in 3rd. All 3 drivers were using the award winning Tekin Rx8 Gen2 esc and T8 Gen2 motors adjusted as necessary with the Tekin Hotwire Gen2. 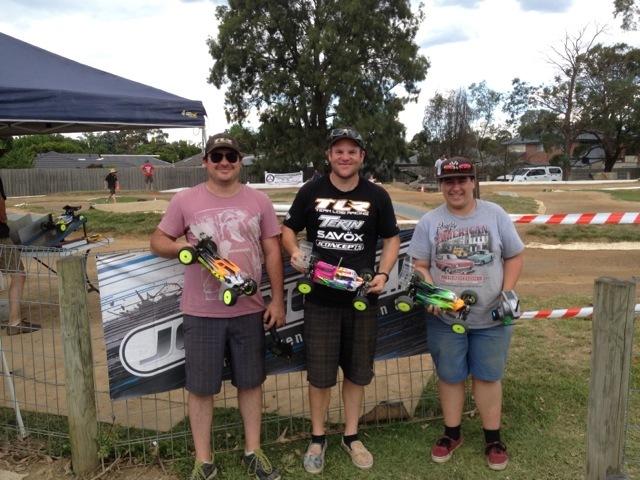 The 4wd SC Class had Max Flurer taking the overall Tq. Flurer and Lutz would battle it out all race finishing 1-2 with Lutz taking his second win, followed by Flurer in 2nd. Both drivers were using the Tekin Rx8 Gen2 and Pro4 line of motors, adjusted as necessary by the Tekin Hotwire Gen2. 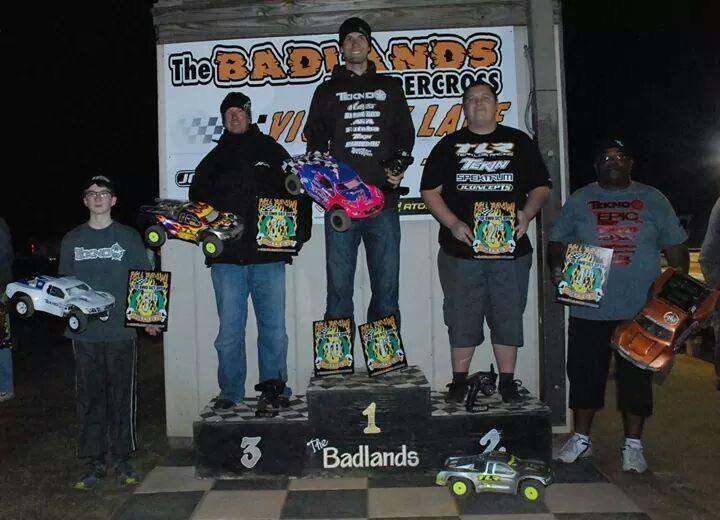 2wd Mod buggy was also held at the Fall Brawl and proved nothing short of exciting. John Michael McGinty III would take the overall Tq and do battle with Collin Hanna for the overall win. Both Tekin drivers would put in fast laps but Hanna would take the win over McGinty this day. The Tekin powered duo would share the podium going 1-2. 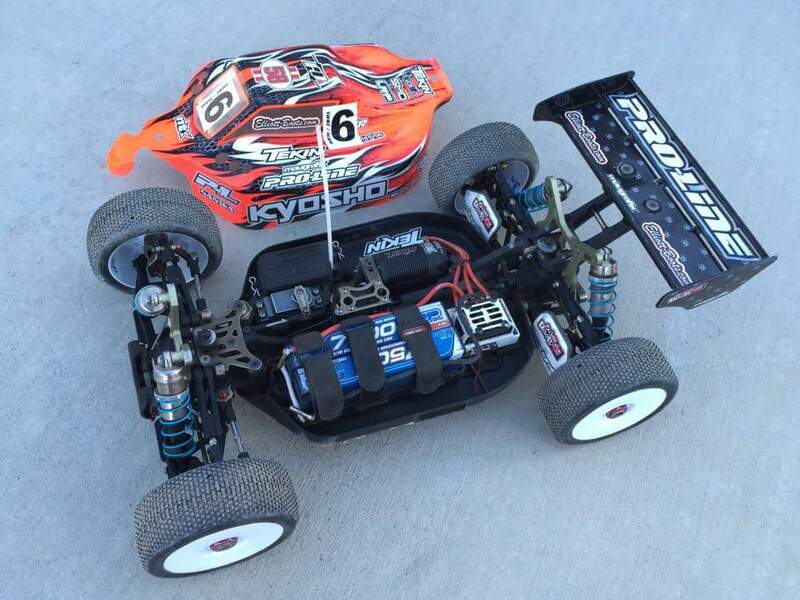 Both drivers chose the Tekin RSX esc and Redline Gen2 motors with Tekin Hotwire Gen2 precision. 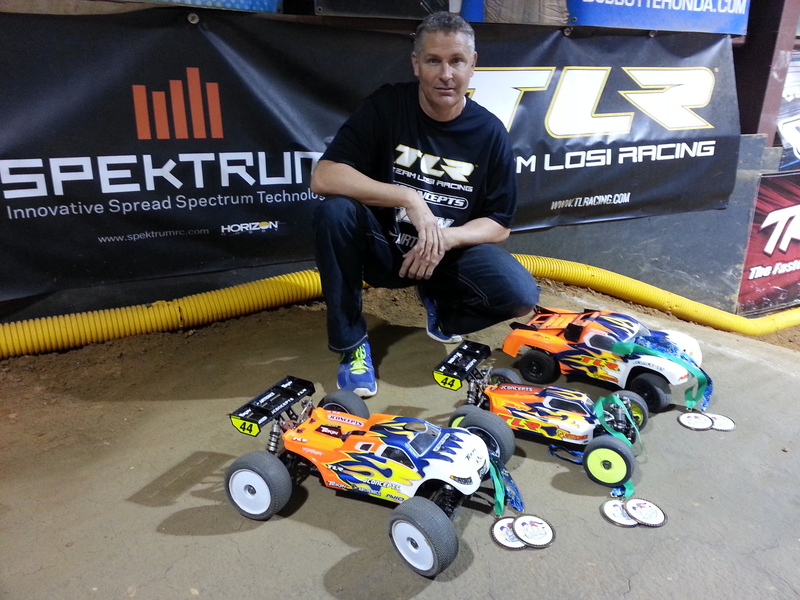 Gerard takes double win at the Ohio RC Factory! This past weekend the Black Friday Electric race at The Ohio RC Factory posted up 103 entries of Ohio’s fastest racers in attendance. 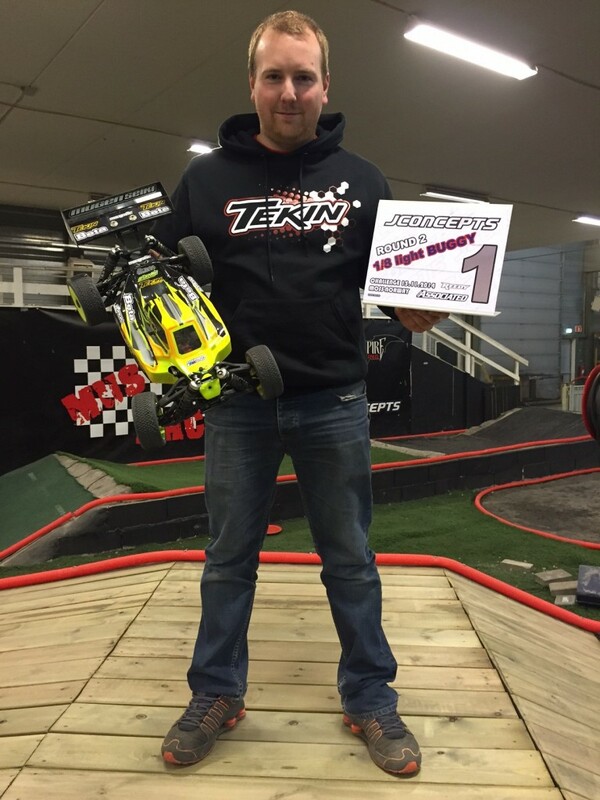 Tekin factory driver Dylan Gerard was able to TQ Ebuggy being the only car to get on 16 laps in qualifying. Dylan would go onto to lead the main wire to wire to bring home the win as well. Dylan was powered by the award winning Tekin Rx8 Gen2 esc and T8 Gen2 motor. Øyvind Rasch-Olsen takes RD 2 of the JConcepts Challenge! 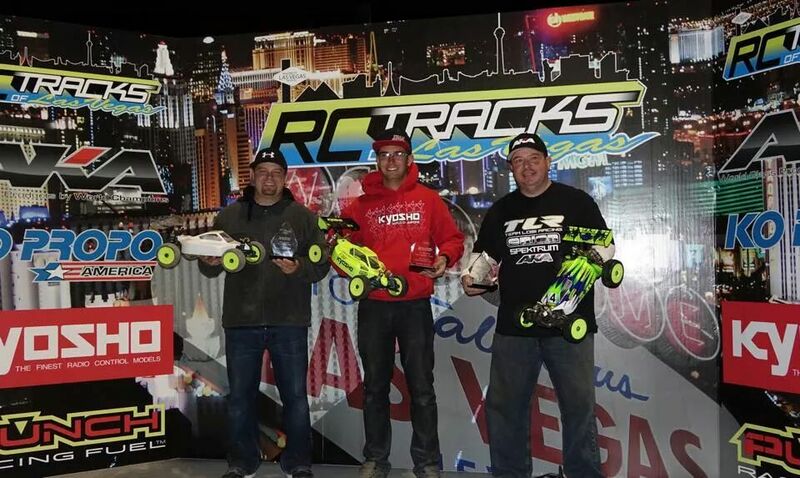 Bustamante wins Inaugural RC Tracks of Las Vegas race!